If you have a business that does not need a High Street location or the expense of renting an office, but a finding a quiet room your house is not possible, then one of our log cabins fitted out as an office can be a great solution. We have a great range of single and two room log cabins suitable to use as a home office or an art studio or a treatment room. We provide a complete installation and fit-out service, including base, floor, roofing, electrics and plumbing if required. 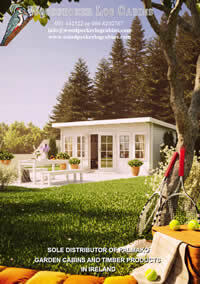 Your garden office or garden studio can be painted or stained to blend with the overall look of your house and garden. 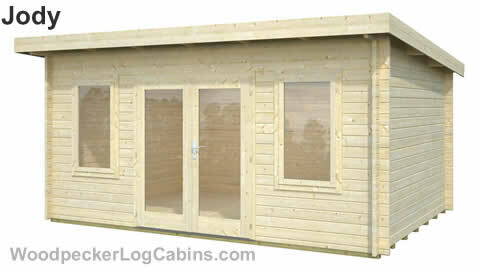 We can also fully insulate it, so you can be comfortable in it the year round.